Fill and preheat the Sous Vide Supreme water oven to 180F/82C. Put all ingredients into a large zip-closure cooking pouch and stir to combine. Use the displacement method (Archimedes’ Principle) to remove the air and zip the seal. Submerge the pouch in the water oven and cook for 2 hours. Remove and open the pouch, stir the ingredients, and portion into individual serving bowls. 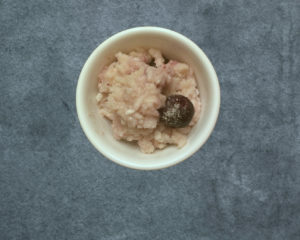 Sprinkle a little vanilla sugar (optional) on each serving, if you like your rice pudding sweeter. *This particular recipe was about the flavors and spices, not sweetness. Also, if you like your rice pudding on the very wet side, I would add about another 1/2 cup of milk or water to this recipe.